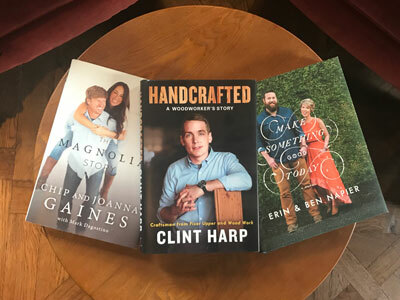 Who doesn’t like Chip and Joanna Gaines? As the faces of the popular show Fixer Upper, these two HGTV stars have inspired so many when it comes to home decor. 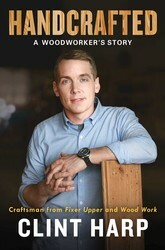 They even paved a path for Clint Harp, author of HANDCRAFTED, to begin his career in the art of woodworking–you may recognize him as their go-to carpenter! And now another new home renovation show has stolen our hearts too: Home Town, starring Erin and Ben Napier, a couple who have dedicated themselves to revitalizing their beloved small town of Laurel, Mississippi. 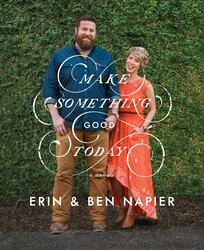 The Napiers, who are also the authors of MAKE SOMETHING GOOD TODAY, use their charm, wit, and eye for style to woo viewers. 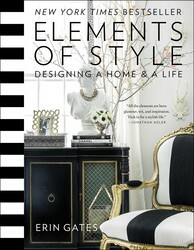 From the rising-star designer and author of the hit blog, Elements of Style is a uniquely personal and practical decorating guide that shows how designing a home can be an outlet of personal expression and an exercise in self-discovery. Drawing on her ten years of experience in the interior design industry, Erin combines honest design advice and gorgeous professional photographs and illustrations with personal essays about the lessons she has learned while designing her own home and her own life. With Erin’s help, you can finally make your house your home. Move over, shabby chic: The new farmhouse look is all about clean lines and modern shapes, paired with rustic textures and clever upcycled decor ideas from the country life. With Modern Farmhouse Style, you can now achieve that farmhouse aesthetic in your own home—no matter where you reside. 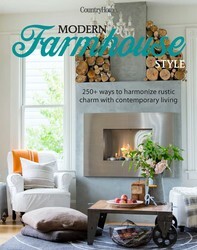 This collection of more than 250 gorgeous yet attainable farmhouse-inspired decor ideas, organizational tips, and DIY projects is everything you need to make your modern home perfectly rustic—or vice versa! Whether you’re a city or a country dweller, Modern Farmhouse Style will bring the you the best of both worlds. Are you ready to capitalize on the rising real estate market and get in on the red-hot house flipping scene? You need a step-by-step guide to evaluate property, avoid rookie mistakes, and build a profitable, successful business. 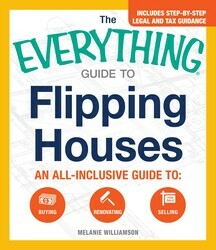 In The Everything Guide to Flipping Houses, successful house flipper Melanie Williamson walks you through the opportunities, the risks, the work involved, and the potential for real profits in flipping real estate. Inside you'll find detailed information for every milestone, from purchase to planning renovations to making the sale and managing profits. It's a competitive market out there, but with this guide in hand, you'll have everything you need to successfully flip any residential property--and reap the lucrative rewards.